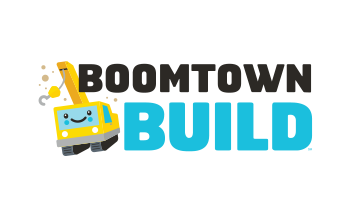 BOOMTOWN BUILDSM coming in August 2019. Proven, verifiable impact! Visit our impact resource page to see for yourself how immersion in FIRST Programs, even at an early age, positively impact students throughout their education and even into careers. The really cool thing about FIRST LEGO League Jr. is…all skill levels are welcomed and needed, technical or non-technical. Read more about team basics, time frame, commitment, and skills required. FIRST LEGO League Jr. gives early elementary school students and their adult coaches the opportunity to work and create together while they explore science and technology concepts. What does it cost to participate? There are costs involved with supporting a FIRST LEGO League Jr. team and they can vary from team to team and region to region depending on what level of participation the team chooses. Turning “look at me” into “look at US!” The FIRST LEGO League Jr. season culminates with Expos where teams show off what they learned and created. 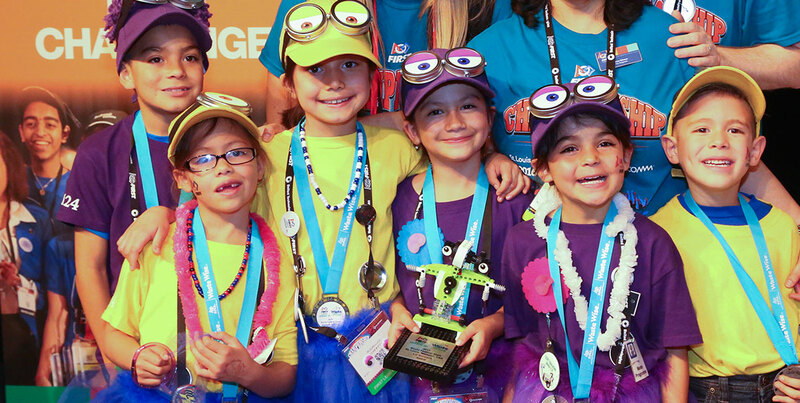 Some teams are invited to showcase their work at the FIRST LEGO League Jr. World Festival Expos, where teams from all over the world meet, share ideas, and have fun.